The definitive portrait of one of history's most extraordinarily talented women. Go beyond Callas, the original diva, and meet Maria, the woman who longed for a normal life. 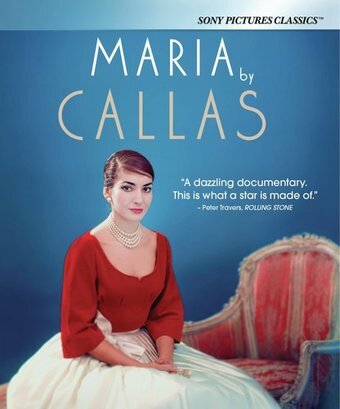 Told through private letters, unpublished memoirs, performances and TV interviews, Maria By Callas is the first film to tell the life story of the legendary Greek-American opera singer completely in her own words with never-before-seen footage. The film reveals a woman who rose from humble beginnings to become a glamorous international superstar and one of the greatest artists of all time.